Pre-European contact Hawaiians living on headlands without access to gently sloping beaches used canoe "ladders" as a means of launching and landing their boats. This was made necessary because Hawaiians relied on the sea for the bulk of their protein -- in other words, if you couldn't launch your fishing canoe, you did without protein almost entirely. Holmes writes that "No other culture has ever been known to overcome the problem of providing boat launching and landing capabilities from a wave-lashed cliff-bound shore." The canoe ladder was a kind of slipway built along a sloping rock or series of rocks -- always on a headland, and never in a cove or inlet. Looking much like a regular climbing ladder (or a series of them joined end-to-end), the canoe ladder consisted of a pair of parallel poles up to about 30 feet long, with "rungs" up to 12 feet wide spaced anywhere from a few inches to a few feet apart. The upper sections of ladder were tied into holes bored right into the rock. The lowest section was tied only at its upper end, essentially hinged at the top so that the lower end floated with the level of tide and waves. This lower section was installed when needed, and removed at the end of the day when the last canoe had been retrieved. From photos in the book, it appears that ladders were sometimes quite steep -- maybe as much as 20 degrees from horizontal. In exchange for a share of the catch, helpers on land would assist the canoe's crew in launching and retrieving from the ladder. The canoe's captain would call the shots, judging the waves and deciding when to go. In both launching and retrieving, the canoeist would attempt to go when the wave was at its highest -- when landing, to bring the boat as high up the ladder as possible and prevent subsequent waves from disturbing the landing; when launching, so that the boat would be drawn as far as possible from the rocks when the wave retreated. In some landing circumstances, the crew would jump out of the boat just before it made contact with the ladder, leaving the steersman in the stern and the helpers on the ladder to grab the boat. Although Holmes doesn't explain why, it would appear that the crew's extra weight in the boat might have presented a problem in these instances. The notion of jumping into surf below rocks just as a wave is coming in is a bit frightening, but so is the whole notion of landing a dugout canoe in this manner, for the boat, the crew, and especially for the helpers on land who had to stand by as this wooden missile, weighing several hundred pounds, rushed toward them on the face of a wave. One of my favorite annual events, the Maine Canoe Symposium, has announced dates for this year: June 6-8. Featured speakers will be The Peake Brothers, and Rolf & Debra Kraiker. The symposium is a 2.5-day event that includes multiple ongoing programs ranging from camp cooking to canoe poling. Many of the programs are on-the-water and to maintain a good instructor-participant ratio, the organizers post sign-up sheets just a few hours before they begin. This ensures that everyone has a good chance to get into most of the on-the-water programs that they wish, and it works very well. Other programs that are more presentation-style and less "practical" (as in, you don't practice the skills on the water) don't require sign-ups and are open to all. The featured speakers give presentations at night in a big, rustic assembly room, and the talks are invariably engaging. Probably the best aspect of the symposium, however, is the strong sense of camaraderie among staff and participants -- probably around 200 souls all told every year. It's just so darn friendly, that even misanthropes like your humble blogger start to feel good, being around so many like-minded canoe enthusiasts. The level of instruction is mostly quite high. About the only criticism I can make is that the event is held on a large and lovely pond that offers no opportunity for instruction on moving water. That makes it difficult to teach and learn many canoeing skills. The setting is Camp Winona, on Moose Pond in Bridgton, Maine (in the western part of the state) -- a boys' summer camp that has hosted the event for years, just before their summer camping season begins. Most symposium participants choose to rent platform tents, which are spacious and dry, but some choose to economise and pitch tents in the open field provided. Food in the cafeteria is spectacular. "Upon finding what appeared to be a suitable tree, the presiding kahuna ...either retired to his (family shrine) or slept right at the base of the tree to learn in dreams from his deity, or aumakua, as to the suitableness of the tree in question. 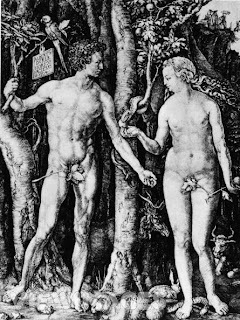 If there appeared to him in his dream a man or a woman standing naked before him without malo or pau [items of clothing], screening himself or herself from shame with the hand, then he would he would interpret the dream as meaning that the timber of the tree was puha, unsound, and he must look farther." If he dreamed they were clothed, the tree was OK.
Another method was to watch the activities of an 'elapaio in the grove of koa trees before choosing one. These little birds would light, or not, on a tree, and peck, or not, at insects. Apparently, if they pecked, that implied that there were insects in the trunk and hence, evidence of unsound wood. Even after the tree was felled, the 'elapaio was observed, and his guidance followed in determining which side of the log to hollow out and while to use as the outside of the hull. Apparently, the kahuna might have to wait around for a long time -- even several days -- before the 'elapaio gave the desired indications. Further to the previous post: in spite of doubts that the Indians of New England may have hunted whales, it is of course known that other native people of the western hemisphere did so. 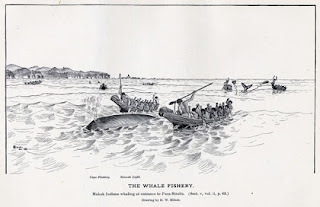 According to an article by the Kendall Whaling Museum (now part of the New Bedford Whaling Museum), "In North America several groups of people historically were engaged in subsistence whaling. With a tradition dating back possibly as far as 4 or 5 thousand years, Eskimos in the Eastern and Western Arctic hunted great whales, bowhead whales and possibly humpbacks..." They did this in umiaks -- skin-on-frame open boats considerably larger than the kayaks in which they hunted smaller prey. In addition, Indians of the northwest hunted gray whales in large dugouts. Given a choice, I'd rather face a whale in a large skin boat or one of these enormous dugouts than in a bark canoe. The umiaks were probably flexible enough to take a hit, and the big dugout canoes of the northwest were quite stout. In Leviathan: The History of Whaling in America, Eric Jay Dolin states that there is little or no good evidence that the natives of what is now the northeast of the U.S. hunted whales prior to European contact. This, he acknowledges, is in despite of innumerable textual assertions to the contrary; but he claims that the previous authors who made such claims all seem to be relying on each other, and the thread breaks before anyone gets to primary sources -- kind of like the archetypal urban legend, which is always reported as having happened to a friend of a friend, never a friend at a first remove who can be queried. The Indians did, however, make use of whales that stranded themselves or washed ashore -- there's sufficient documentary evidence of that, right back to individuals aboard the Mayflower, who observed Indians scavenging beached pilot whales even before they decided on Plimouth as the place for their permanent settlement. Dolin doesn't say that the New England Indians didn't "go whaling" -- only that there's not sufficient evidence to conclude that they did. But if they did hunt whales at sea, surely there would be some hard evidence in the form of harpoons and other artifacts? And one wonders about the craft in which they might have pursued the whales. Compared to the whaleboats carried by European whaling ships -- which, if the marine artists were honest, were forever being smashed to flinders by whales' tales -- even the largest canoes of the northeast were pretty small and flimsy. I don't for an instant doubt the bravery of the pre-contact Indians of the northeast, but neither do I doubt their sanity or their practicality, and it makes sense to question whether they, or anyone, would hunt great whales in bark canoes. Gary Dierking is an American who has lived in New Zealand for many years. A skilled boat designer and builder, he has been fascinated by multihulls since his youth, and he has devoted much of his professional energies to catamarans, proas, outrigger canoes, and their ilk. 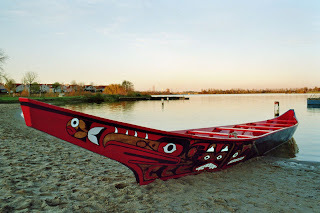 While much of his work is, full custom, he also series-manufactures at least one outrigger canoe of his own design in composites (i.e., fiberglass). Wa'apa: inspired by Hawaiian "three-board" canoes, and designed for stitch-and-glue plywood construction, she can be built as a 16-footer, a 24-footer, and/or in modular sections that allow the owner to switch back and forth between these two lengths with the inclusion or exclusion of a central 8' section between two 8' fore and aft sections. These are beautiful boats, even the square-sided Wa'apa, but if your dream of the south Pacific includes floating idylls in calm lagoons with fruity alcohol drinks in a coconut shell, these boats won't do it for you. Looking at their lines, one can only conclude they are screamers: exciting craft that should keep any sailor on his toes and run rings around most sailboats twice their length. Dierking includes complete building plans for all three boats in the book and, with its 8.5" x 11" format, reproduction is large enough (just) to build any of the designs right out of the book. (If your eyesight can't handle the size, or you want the greater precision that larger plans might allow, they are also available in larger formats from the author: http://homepages.paradise.net.nz/garyd/) The step-by-step explanation of the building procedures is concise and clear: so much so that one wonders why authors of other books on strip planking and stitch and glue construction need twice as much space to cover the same ground. Perhaps it's partly a function of Dierking's 3D how-to illustrations, generated in a drawing program and extraordinarily concise and clear in their own right: they reveal how the things go together more clearly than any number of 2D drawings and verbiage. This is one multi-skilled individual: he can design a boat; do the research on the cultural background; draw; write; and his workmanship as a boatbuilder is of a very high order. The only thing that keeps me from being too envious is that I was his editor at International Marine (yes, this is the disclosure), and in that role, I do believe I considerably improved the book's organization. Indeed, I'm immensely proud of having helped bring this book into publication, for I feel it's one of the best boatbuilding books published within the past five years or so (I've read a few!). But the credit is the author's. Of real importance is Dierking's presentation of numerous sailing rigs: several versions each of tacking rigs and shunting rigs, including an original, windsurfer-like shunting rig of Dierking's own design. (He calls it the Gibbons/Dierking rig, named for naturalist Euell Gibbons, but I feel he's being too modest. The rather crude rig that Gibbons designed provided only a bit of general direction to Dierking, and it suffered from tremendous weather helm. Dierking's version is really unique, perfectly balanced, and very sophisticated.) He gives the pros and cons of each rig type and provides useful guidance in how to sail a shunting rig -- something with which few Western sailors are familiar. The boats are not simple -- they have a lot more bits and pieces than your average design for amateur construction of comparable displacement -- but none of the procedures are difficult. To build any of them, you will need a certain amount of dedication. They're also rather limited in their applications. For their length, they won't carry much, and they provide essentially no protection from the elements, so neither cold-weather sailing nor camp-cruising are really practical. But the benefits are numerous: they're beautiful; they're attention-getting (I think it would be impossible to take one off your roof rack and start assembling the components on the beach and not draw a crowd); and they're really, really fast. Good book; good boats: very highly recommended. This blog is about antique watercraft outside of the Western, plank-on-frame tradition. Eventually, I hope to address dugouts, pirogues, bark canoes, reed/grass boats, skin-on-frame boats (including kayaks, coracles, curraghs, etc. ), skin-without-frame boats (inflated yak skins, anyone? ), dragon boats, Polynesian and Hawaiian canoes and their relatives (e.g., outrigger canoes, proas, double canoes/catamarans), and boats of various Asian styles (junks, sampans, and the like), and every other type that I can find, hopefully with the help of interested contributors. The title, Indigenous Boats, is admittedly obscure and will no doubt prove to be inaccurate. A dragon boat built and raced in Boston, for instance, can hardly be considered indigenous to the Charles River. But dragon boats were/are indigenous to someplace (China), and no other qualifier seems right. Aboriginal Boats? Hardly. The Chinese who developed the dragon boat were long past the aboriginal stage, and the term is so closely connected to the Australian aborigines that it would cause great confusion. (By the way, what is the boatbuilding tradition of Australia prior to Western contact?) For roughly similar reasons, "primitive boats" wouldn't do it, since many of the craft I hope to discuss are pretty sophisticated in design, construction, and/or overall complexity, and "primitive" is a value-laden term that would certainly upset some readers -- no matter that a coracle, for example, is indeed a primitive contraption, and no matter how appealing and charming it may be, and regardless of the fact that coracles were used for serious (that is, not leisure) purposes as late as the early 20th century. Beyond indigenous, aboriginal, and primitive, no other candidates come to mind, so Indigenous Boats it is. 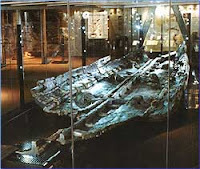 I plan to cover aspects of design and construction, history and culture, boathandling, seamanship, navigation, archaeology, and especially current uses of these craft. I'm actively seeking input -- articles, comments, book recommendations or reviews (or books for review), photos, video clips, links, comments -- if you're interested in this topic (or any aspect of it), please let me know, send me some stuff, and let's work together to make this an interesting, wide-ranging resource for a wide-ranging selection of boat types.